Lissette Calderon, the first-ever female residential developer to build along the Miami River, is once again blazing her own trail with the launch of her new firm, Neology Life Development Group. The company’s flagship project, Pier 19 Residences & Marina, represents a homecoming of sorts for Lissette, who introduced the concept of high-end living along the River more than a decade ago. We caught up with Lissette to chat about the River District’s transformation into a full-fledged lifestyle destination and colorful residential neighborhood, dating back to when she first set her sights on the area. 1) As a pioneer of the Miami River, how would you describe the Miami River transformation over the past 15 years since you developed your first projects? I’ve always been a big believer in the Miami River and saw its potential to become the true heart of the urban core. Back when waterfront living constituted the Bayfront or Miami Beach, I knew the River would get its chance to shine as its own residential anchor, similar to how living along the River in cities like Chicago, New York, and Paris is the pinnacle of luxury living. What was once a primarily industrial area when I first began building Neo Lofts is now transformed into a vibrant and cool destination with new restaurants, retail and entertainment options popping up and adding more life to the neighborhood. The whole idea behind Pier 19 Residences & Marina is to bring high-end rental living to the Miami River by revamping the building with upgrades to all common areas such as the lobby, entrance, indoor and outdoor wellness and fitness center, social lounges and café, movie theatre and sports parlor and conference room. We also really wanted to highlight the building’s waterfront access and further activate the River, which is why a new, 10-boat slip marina will also be added as part of the renovations. 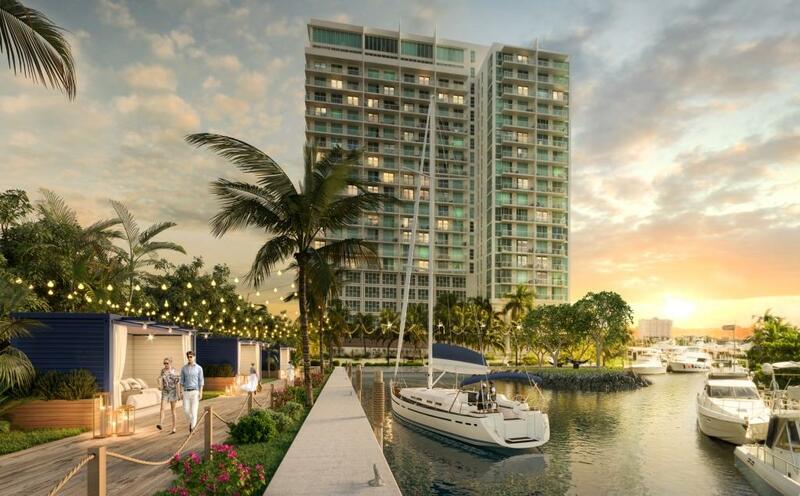 Residents will be able to set sail on a boat or hop on their paddleboard directly from the property to enjoy a ride on the river. 3) What’s your vision for Neology Life Development Group and what factors do you look at when identifying neighborhoods to invest in? As I always say, we don’t build buildings, we create lifestyles. My vision for Neology Life Development Group is centered on redefining urban neighborhoods in South Florida and beyond through lifestyle-driven residential and commercial development. Right now, I’m actively looking in neighborhoods throughout Miami’s urban core, specifically at sites that are exciting and are able to inspire, given the experiential living we’re looking to put forward. 4) In a traditionally male dominated industry like real estate, what advice would you give to women looking to advance their careers, particularly in development? As the first female developer to build along the Miami River, which at the time was very industrial – a men’s only kind of area – I knew the challenges I would face could very well outweigh the pros. What I also knew, was that I had the confidence, passion, discipline and grit that couldn’t be denied. So, my advice to other women looking to enter the world of commercial or residential development, is don’t be afraid to take on a daunting project or space, just make sure you believe in your vision and stick to your guns and you’ll get it done. Also, let’s not forget, Miami was founded by a woman, Julia Tuttle, over 100 years ago on the North Bank of the Miami River. 5) Lastly, as a mom to three girls, what’s your favorite family activity on the weekends? Getting to spend time with my girls at any given moment is a blessing, but what I really enjoy is watching and supporting them do what they love, whether it’s at an equestrian competition or a tennis match.